In the holy city of Jerusalem, where neither religious tradition nor veterinarian school embraces spaying and neutering, authorities are just beginning to get a handle on its army of stray cats, Derek Stoffel writes. In a holy city revered by three faiths, there are many traditions that date back thousands of years. But one of the more modern rites, adopted by visitors and locals alike, is feeding Jerusalem's army of stray cats. 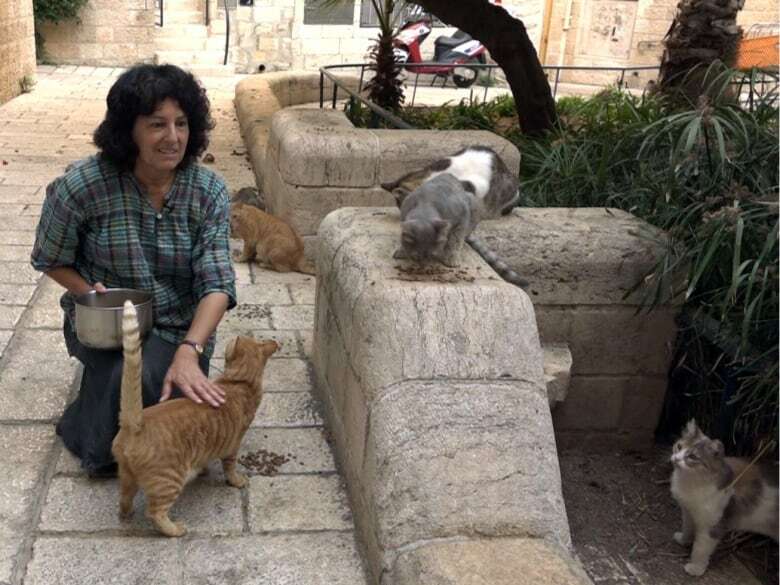 The title is unofficial, but Tova Shaul is the chief cat caretaker in Jerusalem's Old City. Carrying a pot filled with cat food, she heads out to a quiet park in the Jewish Quarter twice a day. The local feline population hears her apartment door shut and meows start to fill the air. Jerusalem, and other cities right across Israel, face a growing problem: there's simply not enough room to swing a cat. And the country is now only beginning to deal with the problem of overcrowding. Shaul fed more than a dozen cats — a few calicos and a tabby among them — on a recent afternoon. Cats are "the lowest on the totem pole here. They're the least cared about," she said. "They're very vulnerable and yet they're scrambling every day on the street to survive." Shaul says she often finds and nurses newborn kittens that don't make it, or older cats that are sick and often die. Still, given the difficulties feral cats face here, the warm climate means a female cat may have up to three litters a year. Food is plentiful in the open dumpsters that line Jerusalem's streets. The feline population was low until the 1930s, when — under the British Mandate — cats were brought in to deal with a rat problem. The population has spiralled ever since. Animal activists estimate there are now two million street cats in Israel. Israel's agriculture minister sent the fur flying last year when he proposed deporting all male or all female cats to a receptive third country. Israeli media reported that the minister, Uri Ariel, was against spaying and neutering cats because it harms the animals. He also cited a biblical commandment to populate the earth. But after numerous catcalls online, the minister backed down. The Israeli government did, however, launch a campaign to spay and neuter stray dogs and cats in 2013, giving shelters $1.5 million to perform surgical sterilizations. More than 100,000 cats have undergone the procedure. Tova Shaul can often be seen wandering down the stone-lined streets of the Old City, carrying a cat cage. She traps mostly female felines and delivers them to a local shelter to be spayed, before returning the animals to where they were found. 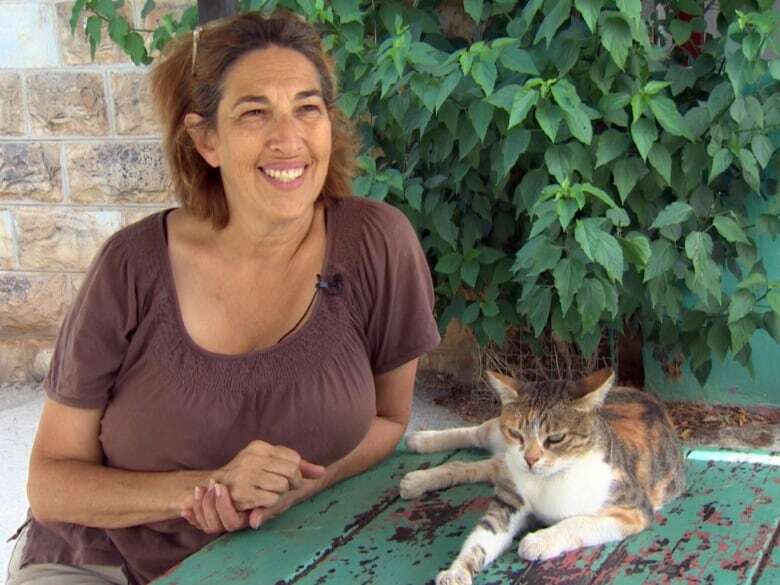 Shaul, who estimates she's taken more than 500 cats in to be sterilized since 2009, says awareness of the benefits of spaying and neutering is growing in Israel. "Thank God, not as quickly as I would like, but there is a groundswell of more and more animal rescuers of all nationalities and ethnic groups," she said as she softly stroked a black kitten. But it hasn't been easy to convince some segments of Israeli society. 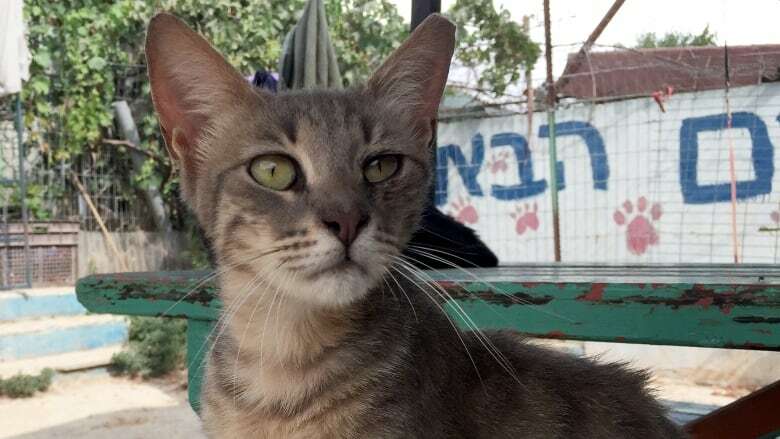 "We're surrounded by cultures that don't do spaying or neutering," said Chaya Beili, a volunteer with the Jerusalem Society for the Prevention of Cruelty to Animals. "We cannot even control it because five minutes from here there are people who think: 'For what?' 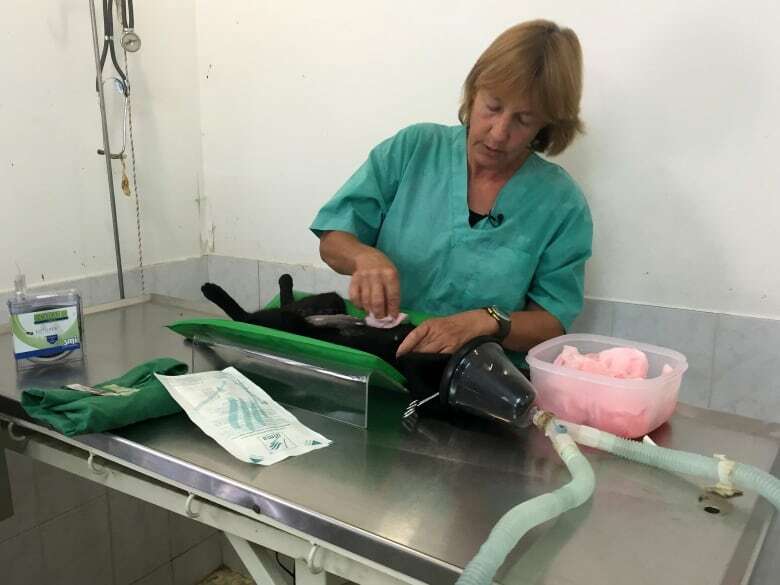 "
Part of the problem, according to Adela Gertner, is how veterinarians in Israel and the Palestinian territories are trained to deal with stray cats and dogs. "Their studies do not push the spaying and neutering the way the United States and Canada does," said Gerter, who moved to Israel from Toronto 20 years ago, and is the founder of Spay Israel. "You have to experience all the problems before you understand that you have to spay and neuter. And who pays the price? The cats and the dogs pay the price."